Founded 2,000 years ago, the capital of Roman Helvetia brings the vestiges of this time alive again during unique events. In the Trois-Lacs region, near the Vully AOC vineyards, Avenches has made its history a key feature of contemporary life. The riches of Aventicum, the capital of Roman Helvetia, still lie beneath the farming land here and the roman museum tells its story, with notably an exceptional golden bust of Emperor Marc Aurèle. 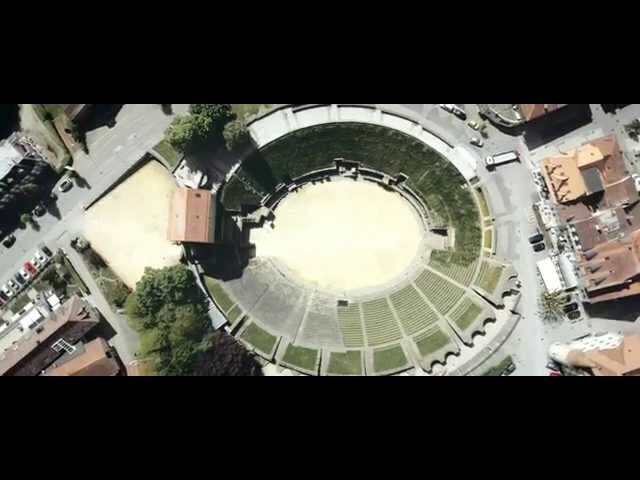 The imposing restored 6,000-seat Roman amphitheatre has carved out a new name for itself as the stage for the Avenches Opéra, Rock Oz’Arènes and Avenches Tattoo festivals, under the kind summer night’s sky. Avenches is also the “equestrian capital”, with the Haras National Suisse and the Institut Equestre National d'Avenches (IENA), a unique multi-disciplinary equestrian centre in Europe which organises over 30 equestrian events a year: show jumping, combined driving and eventing. For rest and relaxation, the Avenches Beach Campsite on Lake Morat is a great place to enjoy time with the family.